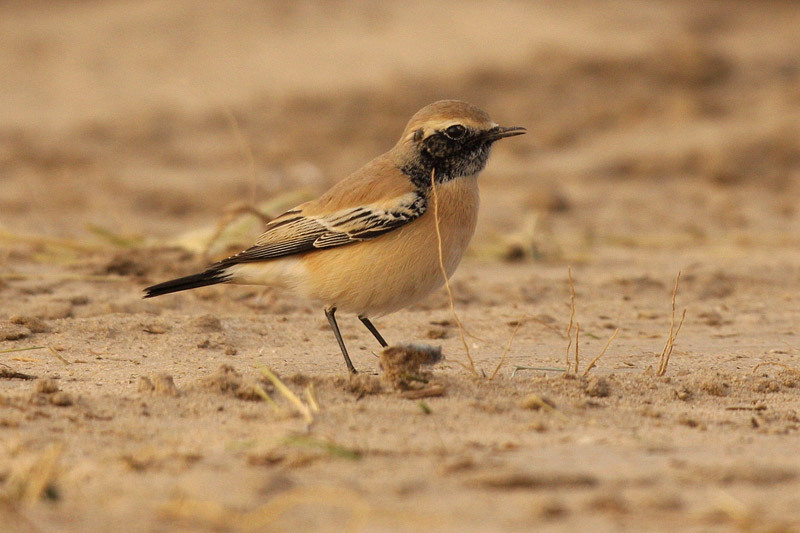 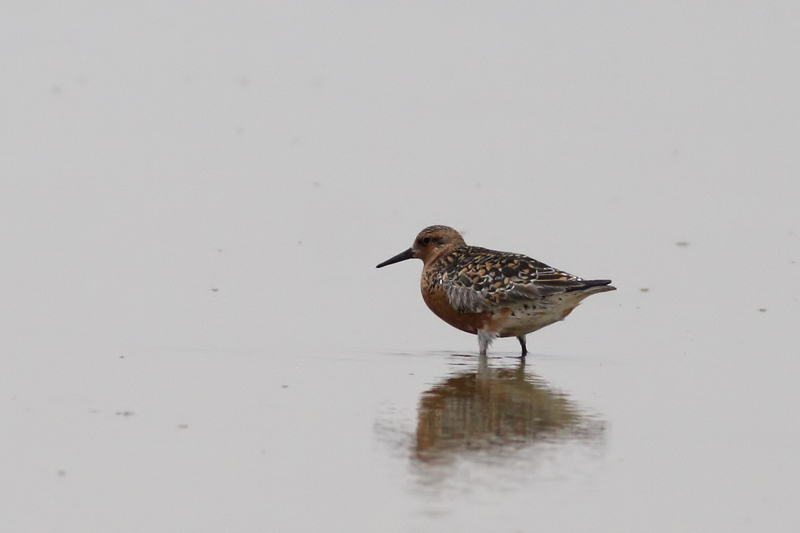 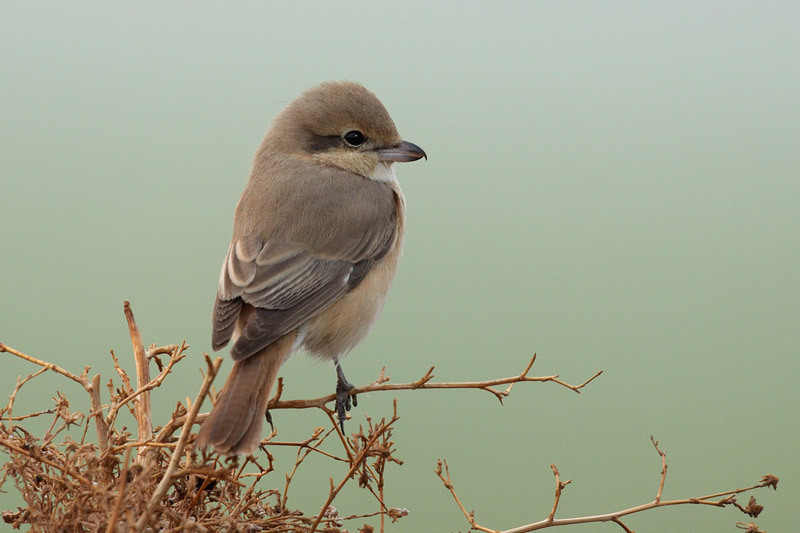 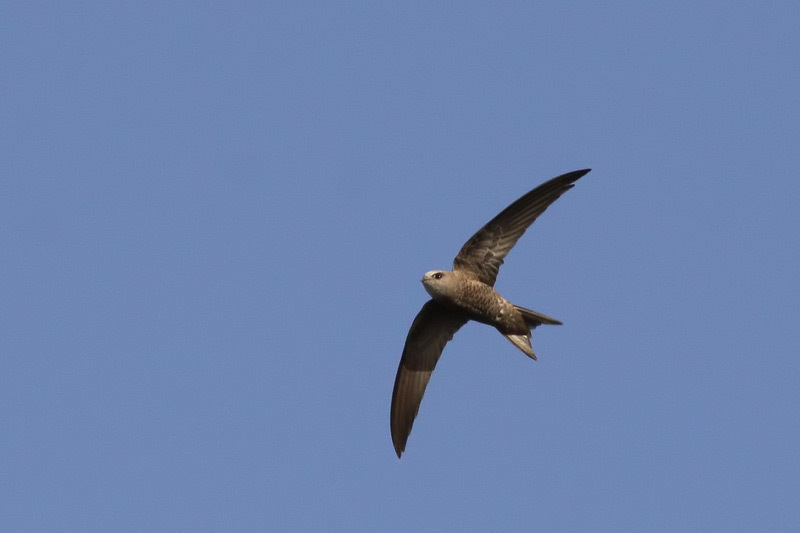 From a birding perspective and being on the migration route, Kuwait had another exciting year with a few 1st records and many other rarities showing up during the course of the year. 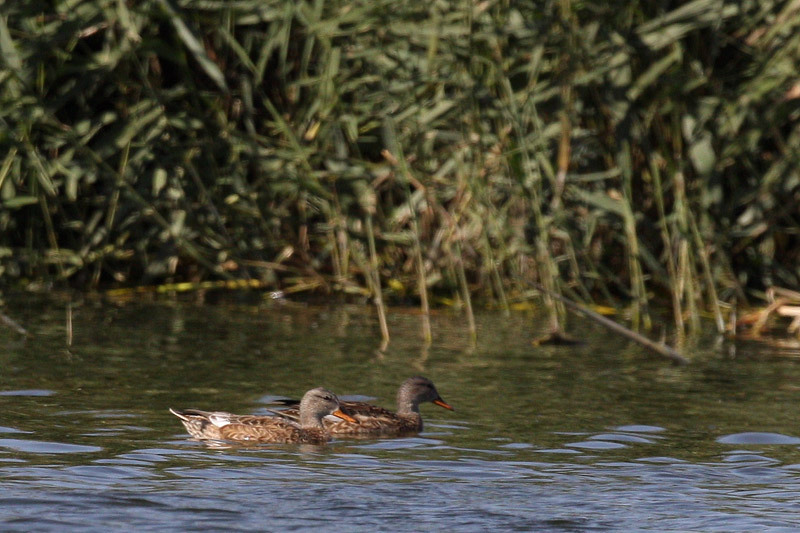 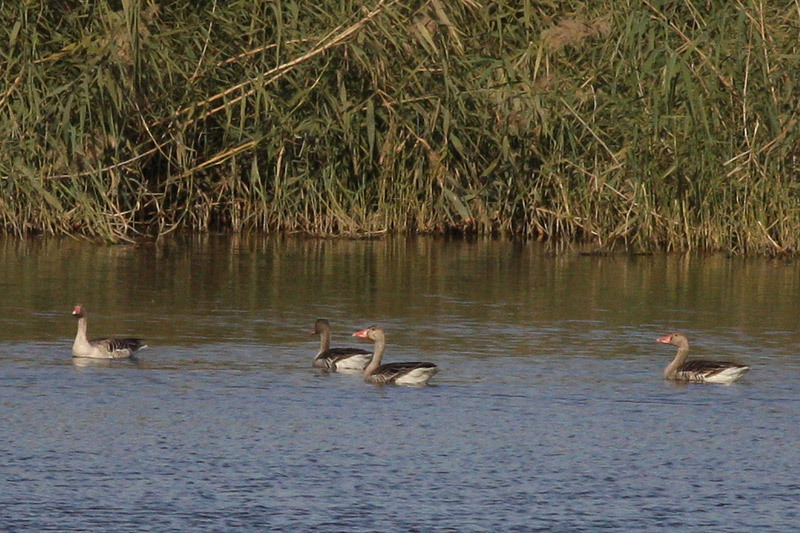 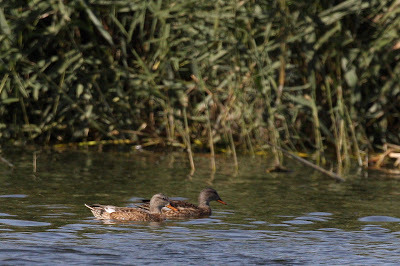 I ended the 2011 birding year on a good note with 11 Greylag Geese in Jahra, a bird which I had'nt yet seen in Kuwait, so a lifer for me. 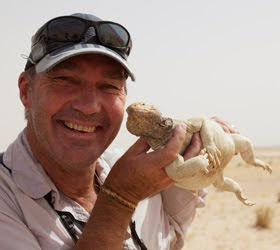 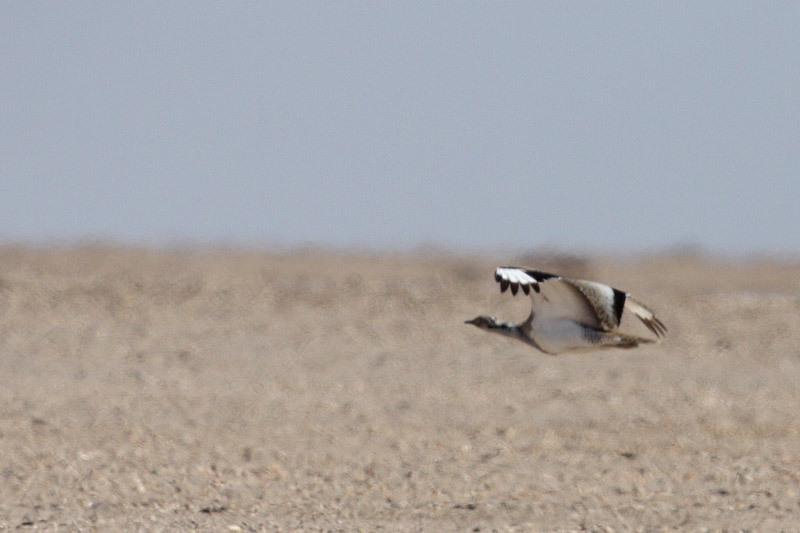 2010 finally took me over 300 to 303 species and for 2012 I finished up on 307 species out of the 387 species recorded in Kuwait. 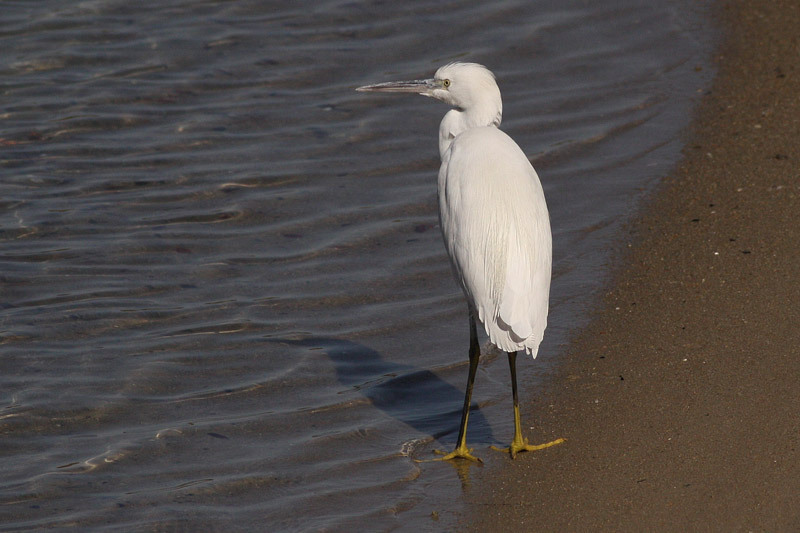 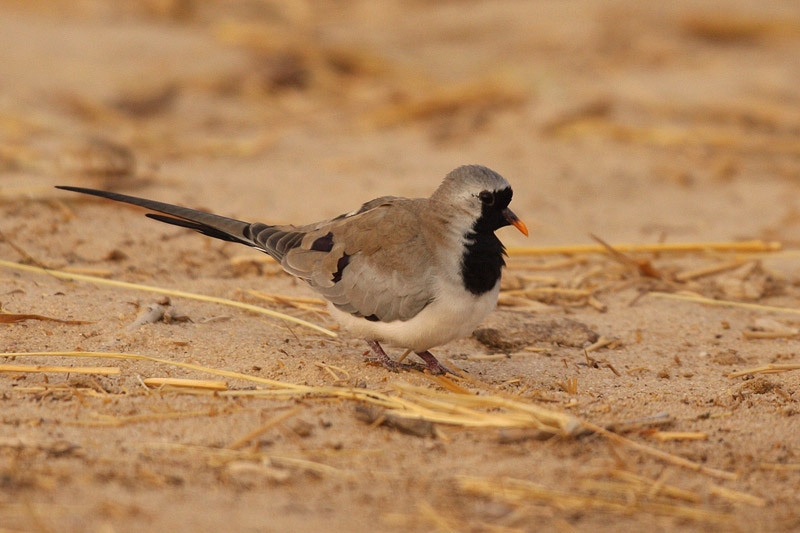 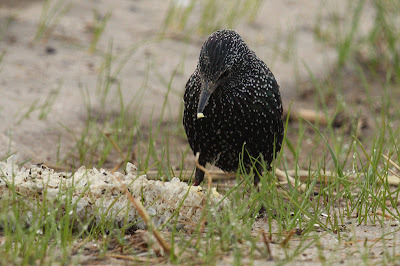 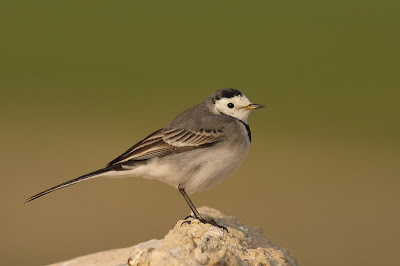 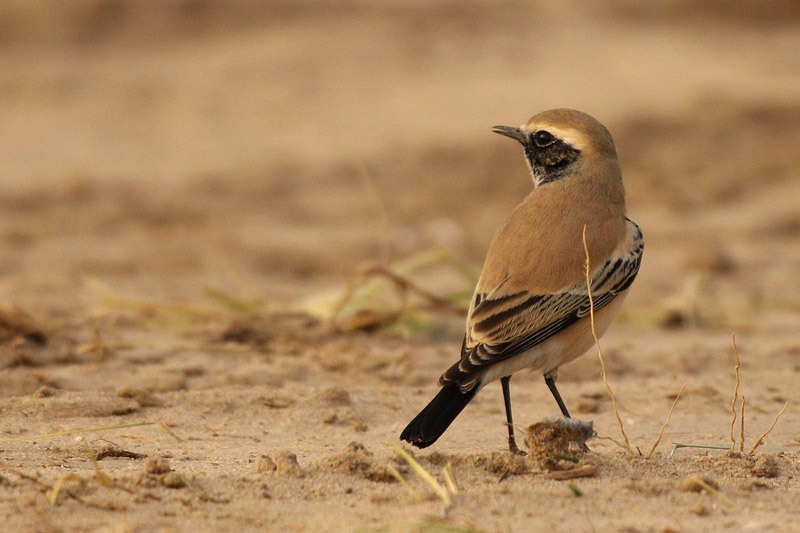 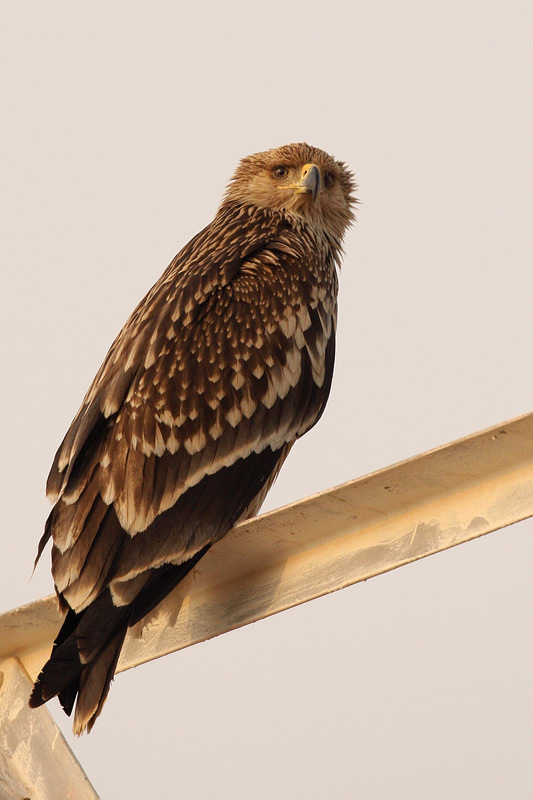 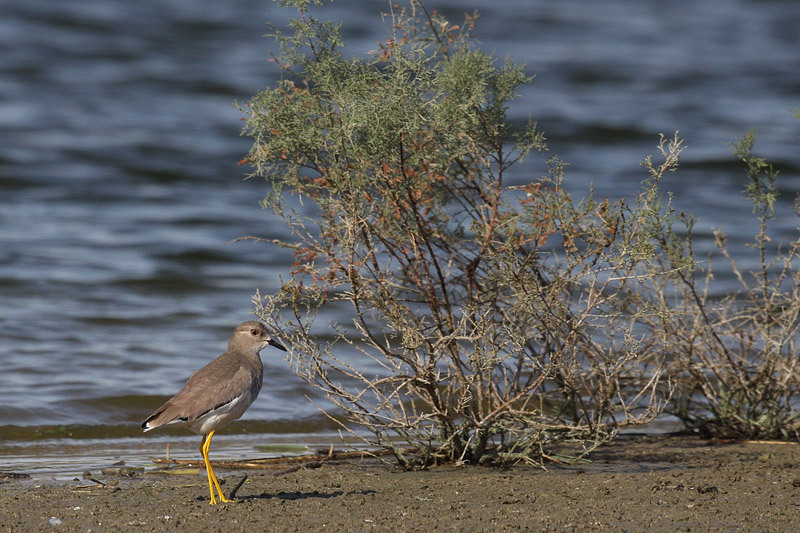 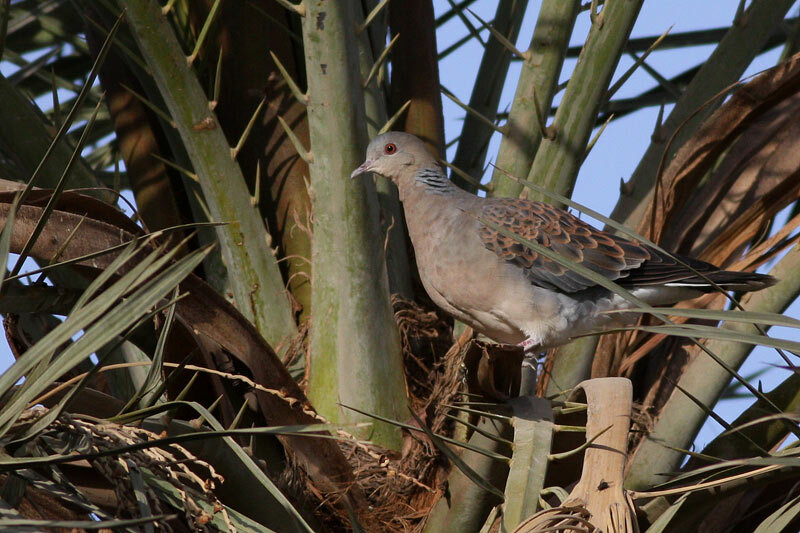 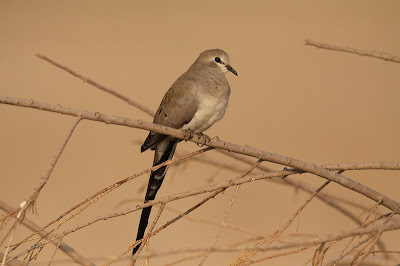 As KORC (Kuwait Ornithological Rarities Committee) we adjudicate and ratify all vagrants reported in Kuwait to ensure that they are genuine records. 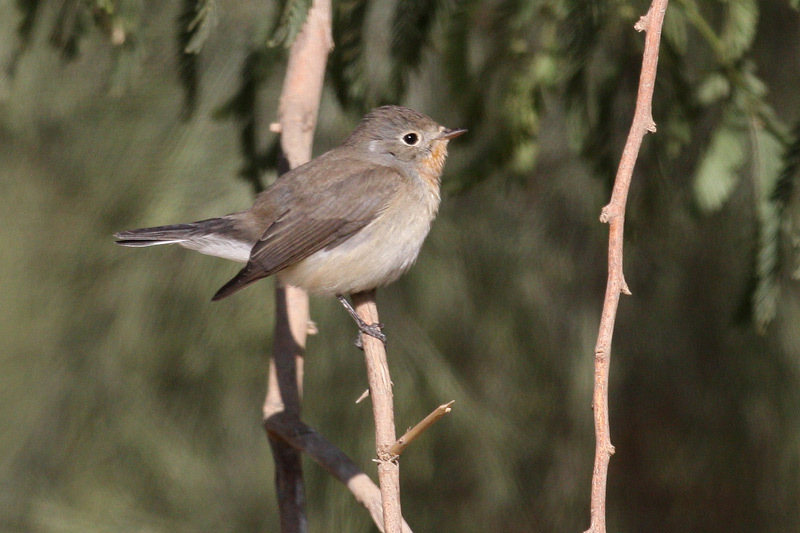 Once a species is recorded 15 times, we then review its vagrant status based on frequency of sightings. With more and more birders/photographers reporting their sightings we are getting a better understanding of distribution and status of rare species. 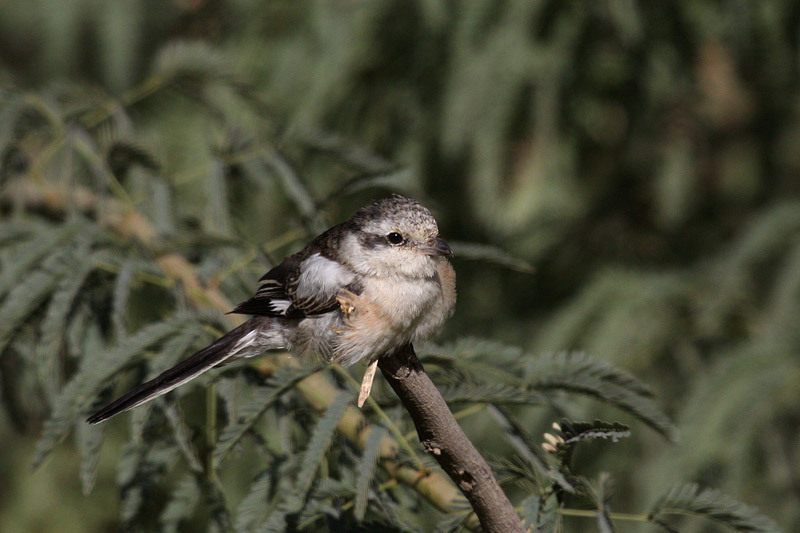 A very good example in the 5-years I have been in Kuwait is Black-winged Kite that is now considered an annual but uncommon visitor, when in 2006 it was still considered a vagrant. 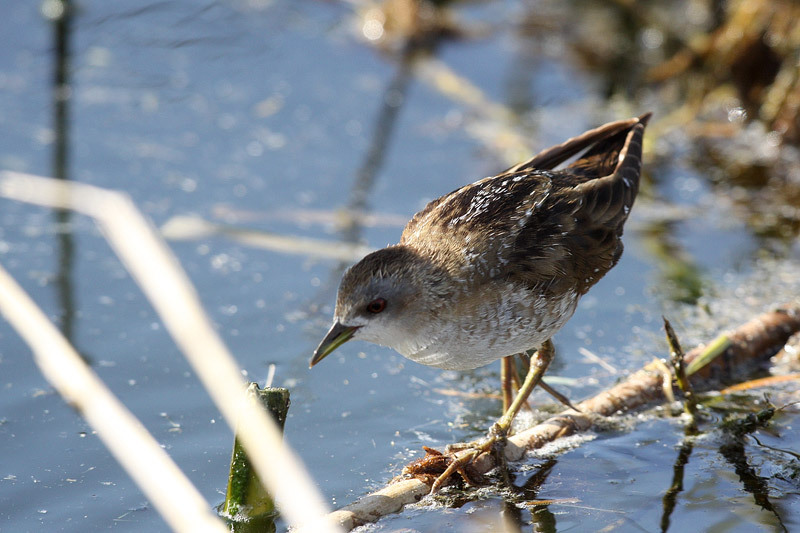 Now we look forward to the coming Spring migration with migrants returning in preparation for the coming breeding season as well as the winter residents slowly change from non-breeding to breeding plumage in preparation for their departure toward the end of Feb and early March. 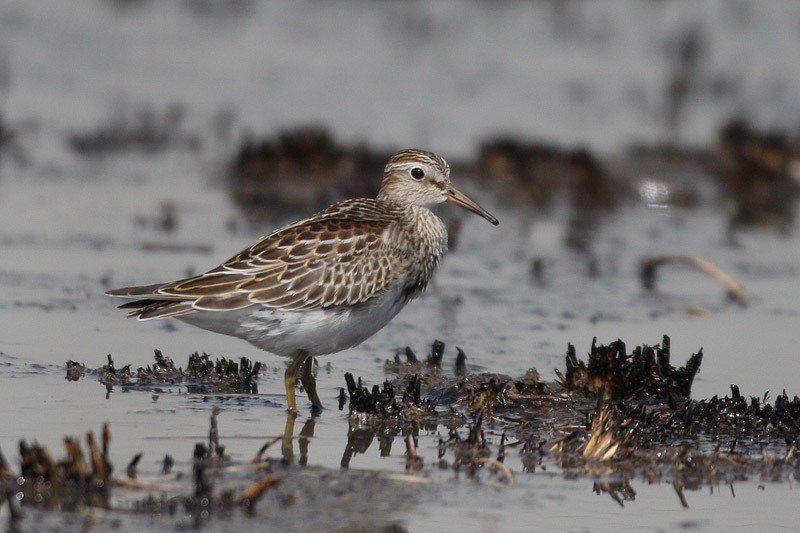 Pectoral Sandpiper was a 1st and found at the Pivot Fields during October where it remained for almost a week. 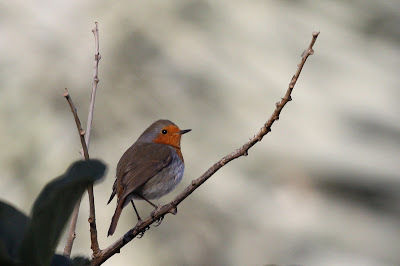 I had taken 2-days off for the Christmas weekend to enjoy time with the family and the weather played it's part too - almost Spring weather during the day. 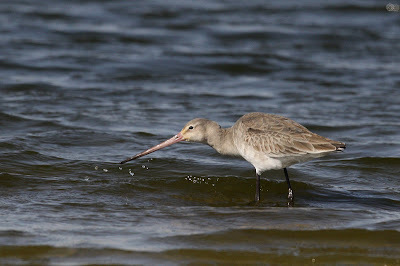 We had a late morning walk around Green Island seeing a few Common Redshanks and a single pale morph Indian Reef Heron. 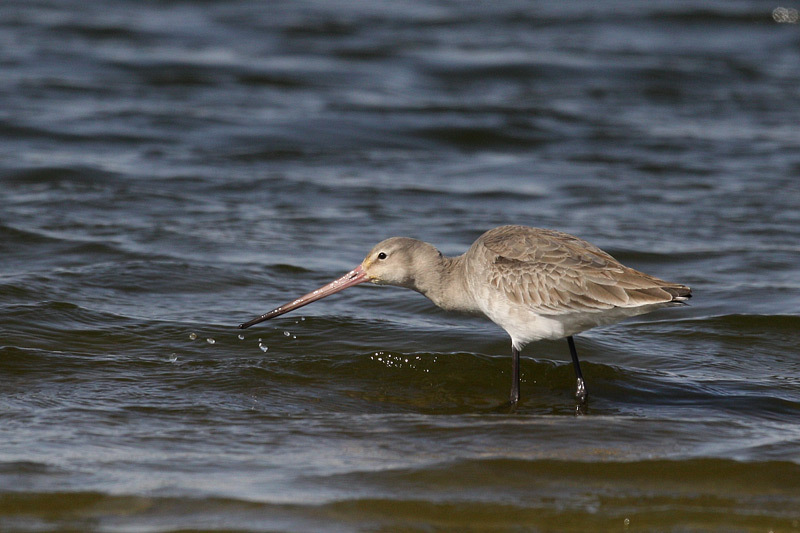 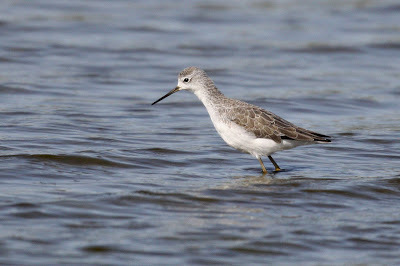 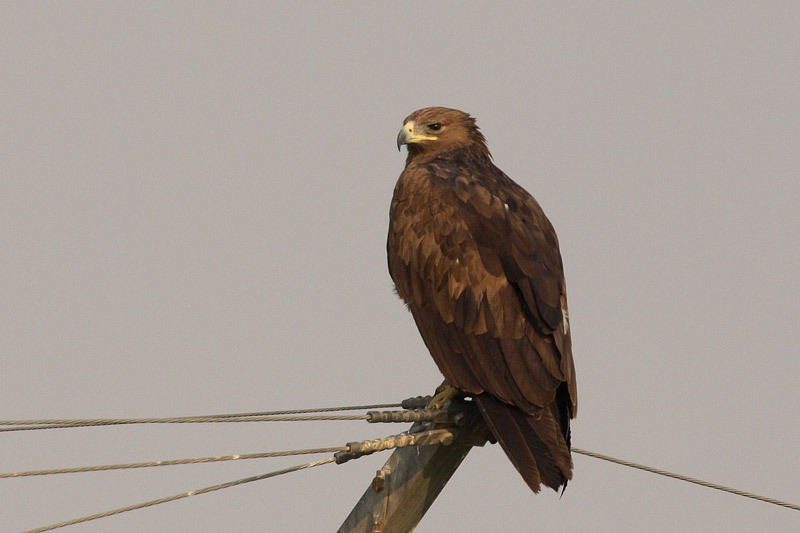 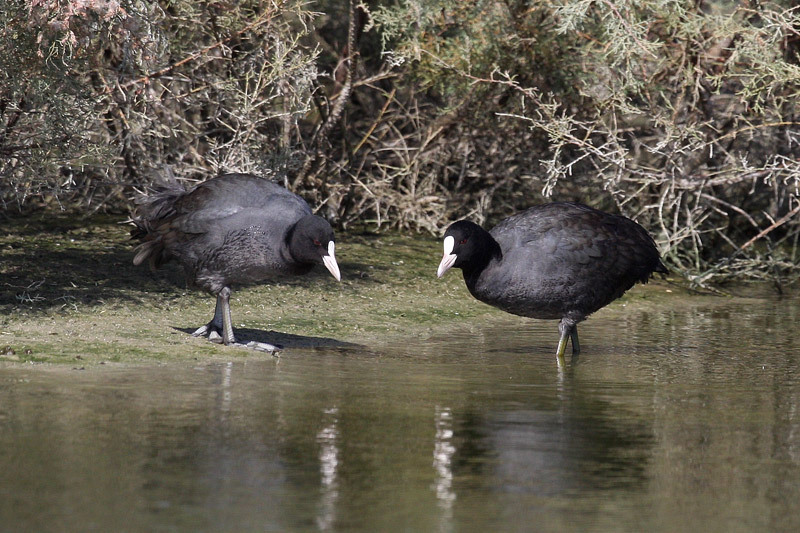 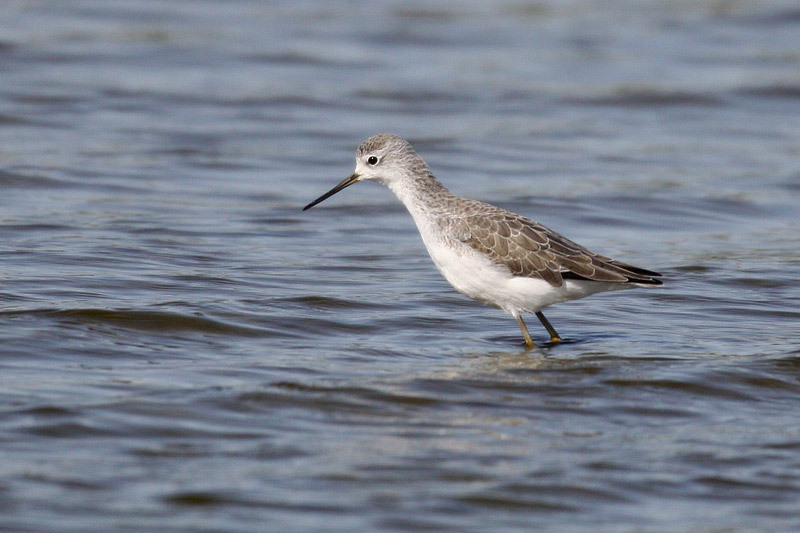 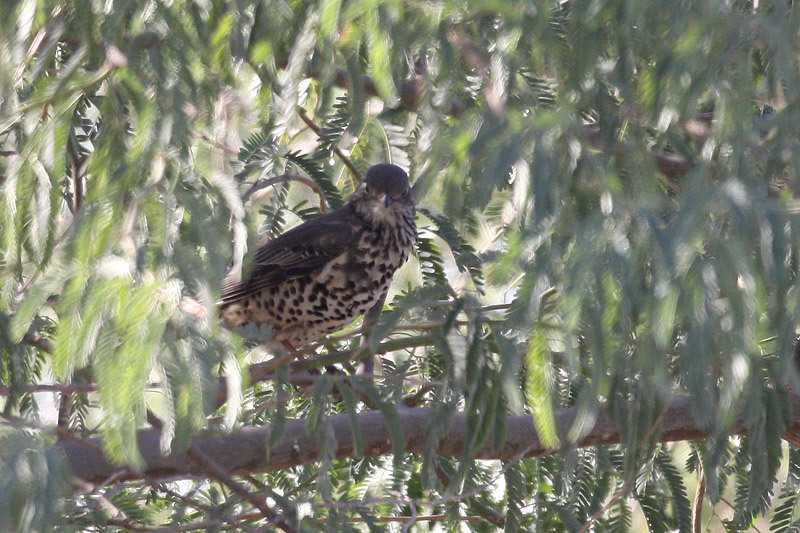 However, over lunch I received a text for a species I hadnt yet seen in Kuwait. 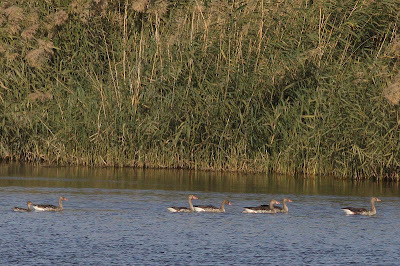 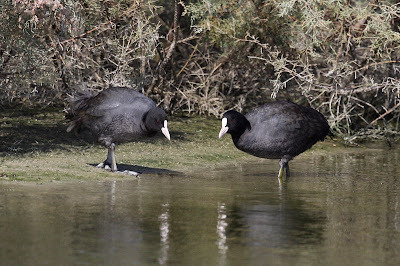 Fortunately my family and father-in-law were happy to take a detour to Jahra Pools Reserve to see if the birds were still there. 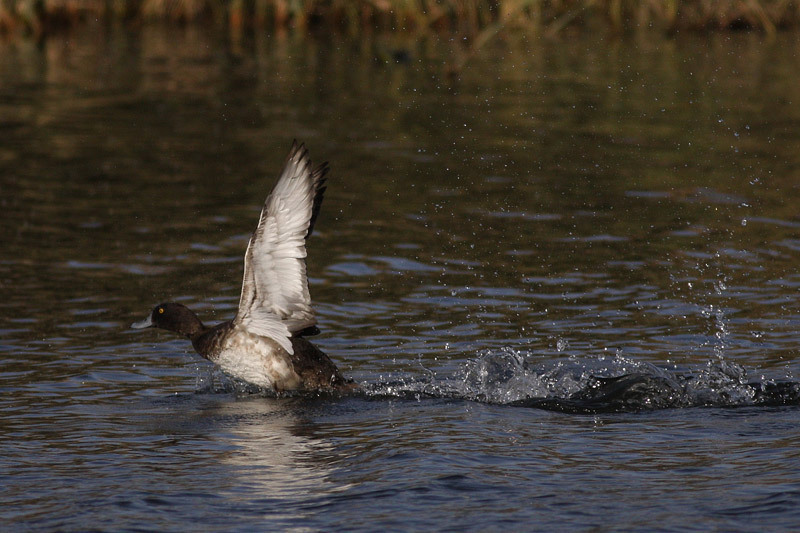 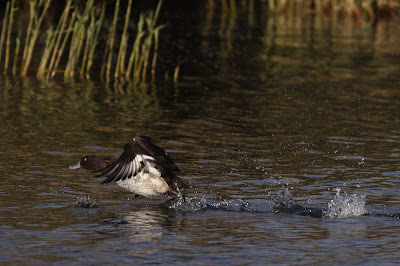 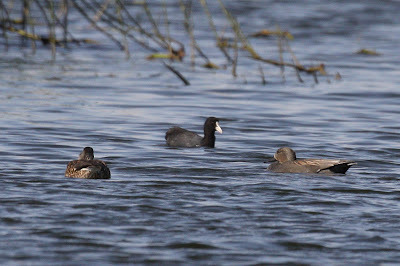 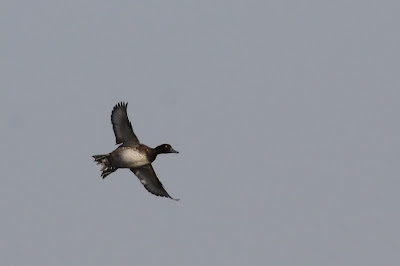 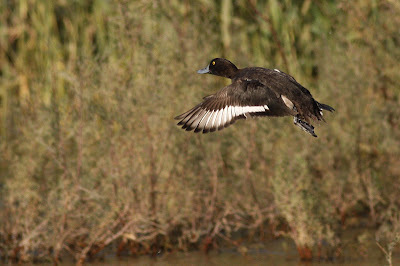 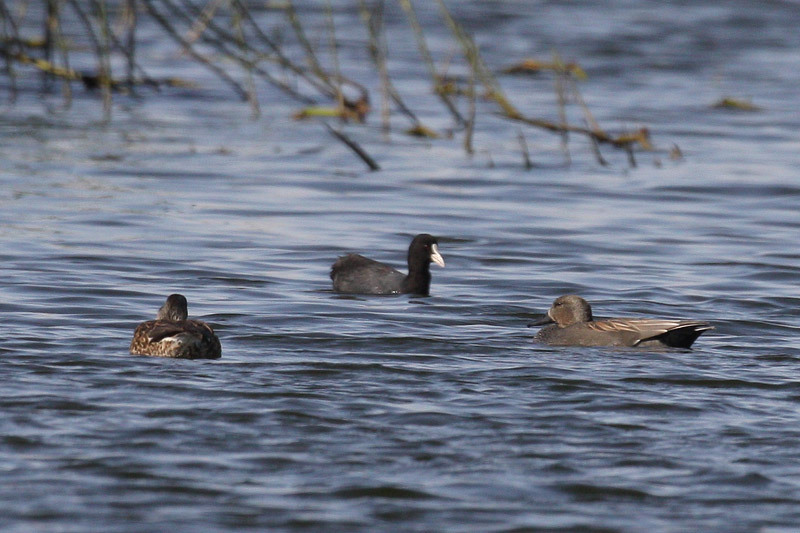 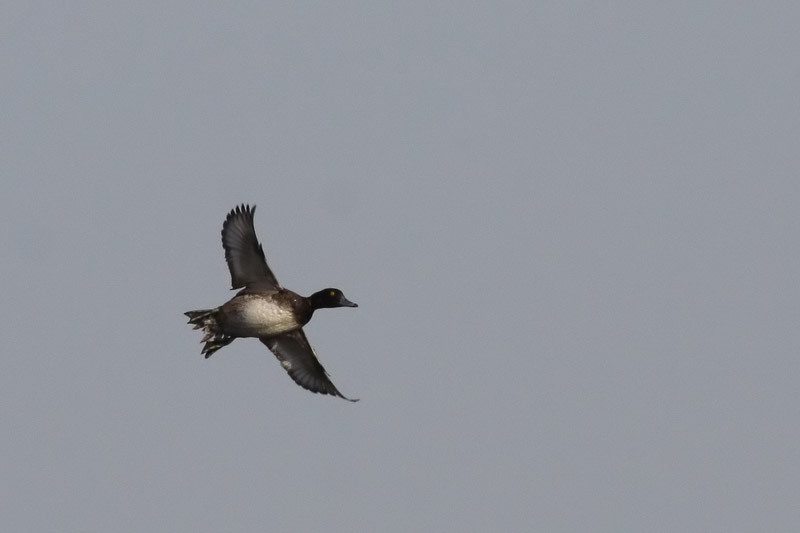 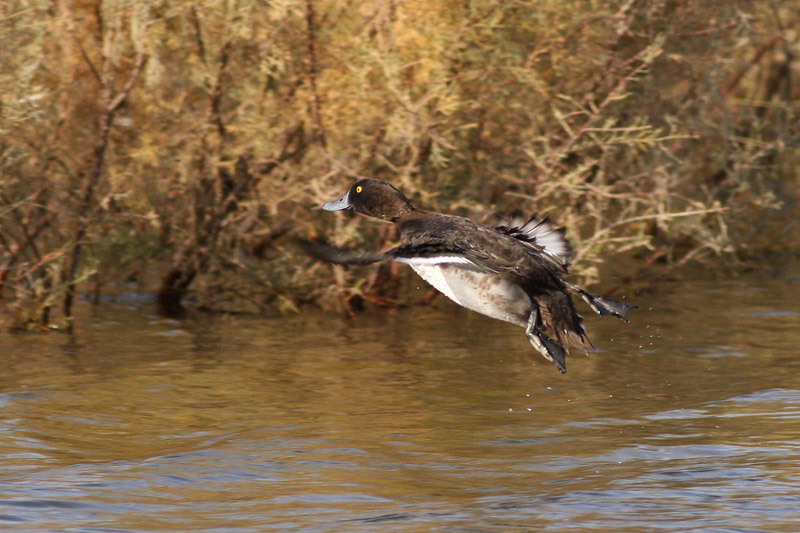 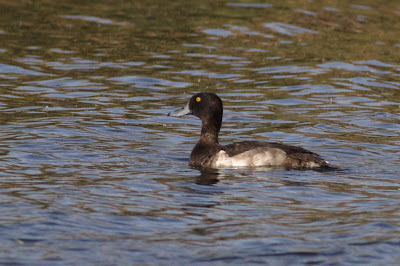 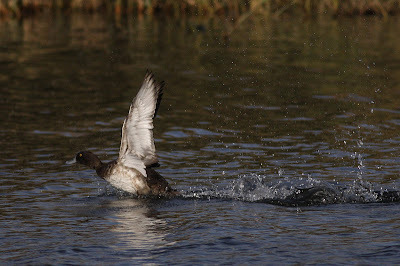 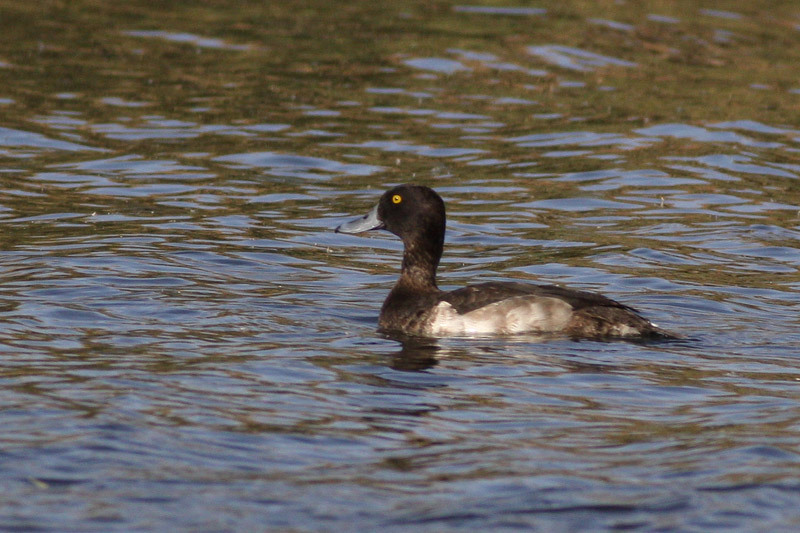 I checked one part of the pools first and found a single Tufted Duck and managed to catch it taking off. 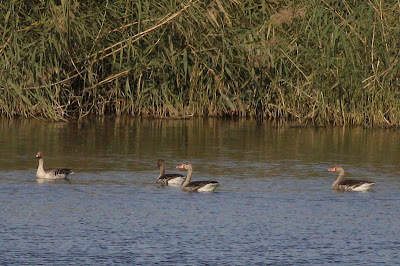 At the next spot, there was no sign of the flock, but after some time, a flock of 11 Greylag Geese (with a lone Widgeon) appeared from behind some reeds. 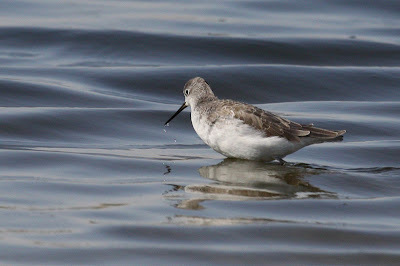 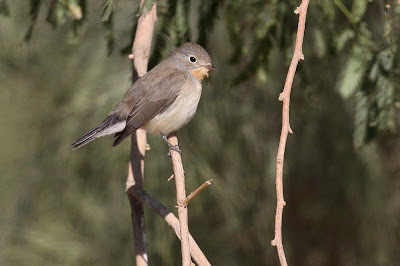 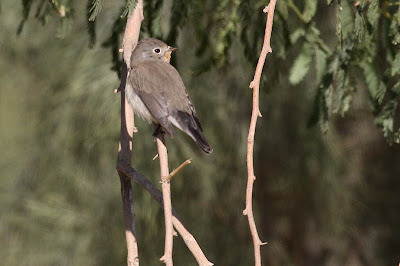 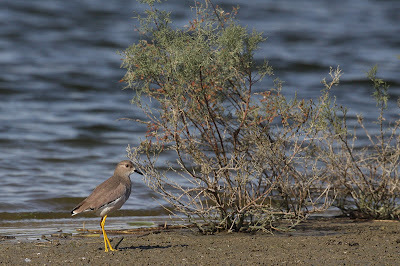 Although quite distant I was able to get some record images and this I would imagine is my last Kuwait lifer for this year, so a great birding note to end 2011. 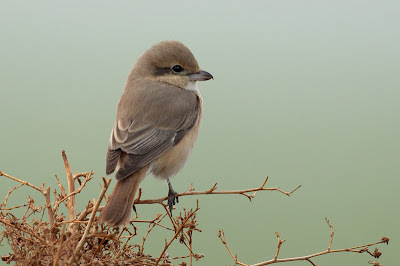 Finally, this post completes my backlog and brings me up to date. I was able to get out for just 2-hours with The Beast on a tranquil winter morning that was very gloomy to start, but the sun burned off the low cloud and fog by the time I had to leave - nevertheless, it was still enjoyable. 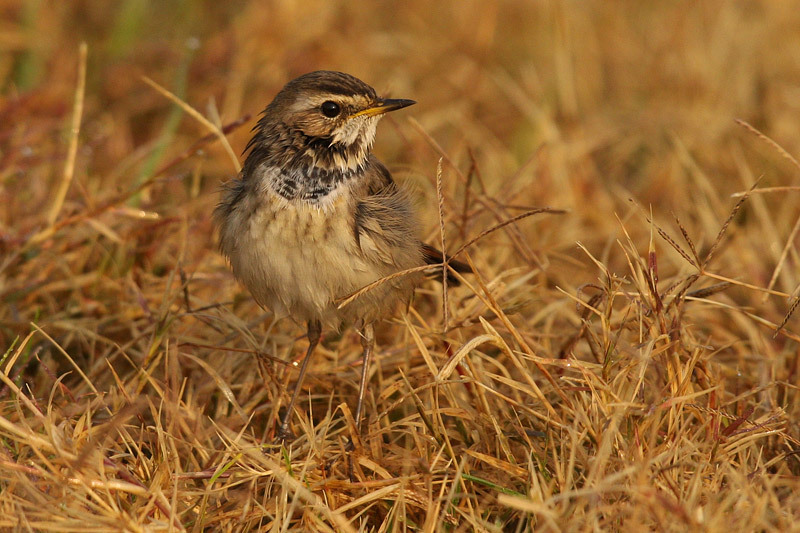 I checked the spot where I had seen Buff-bellied Pipit last year and sure enough there was a single bird present this year, but unfortunatley not at all cooperative for an image, even a record image. My son had his last golf lesson of the year and whilst he was perfecting his swing with all the clubs in his bag, I was a little distracted by some of the biodiversity on the driving range. 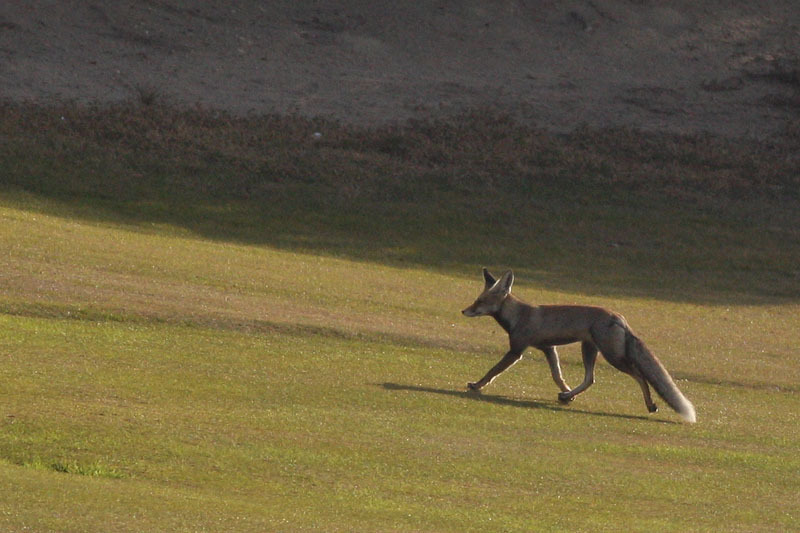 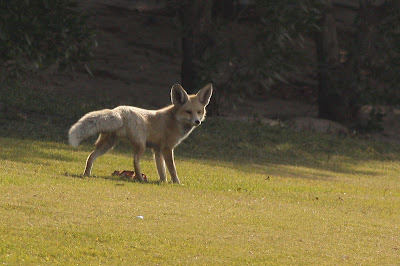 More amazingy were a pair of Arabian Red Foxes that strolled across the far end of the driving range, out of the reach of the few golfers who were getting warmed up for their games a little later. 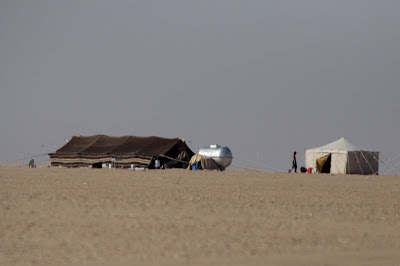 It had been months since I headed to the oasis farm at Al-Abraq, so this morning I was dressed warmly as the temperature was around 1 degree when I arrived just before 7am in the morning. 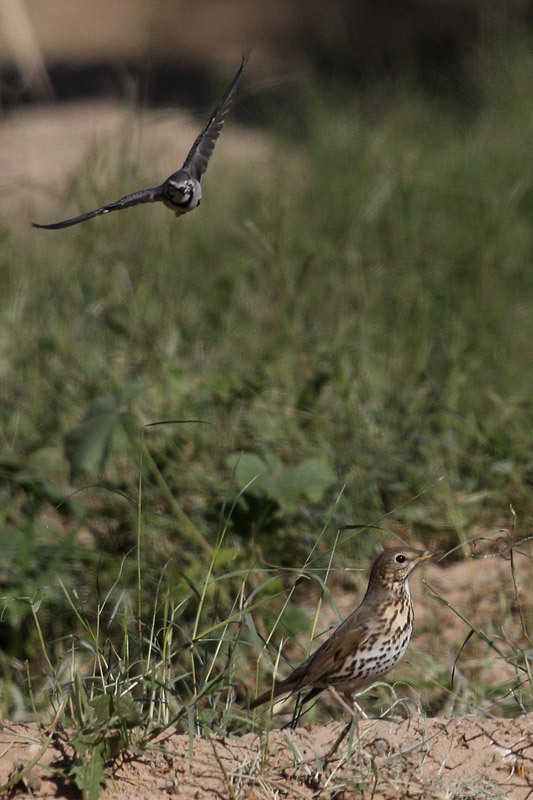 A Mistle Thrush had been reported here a few days back and that was my target species. 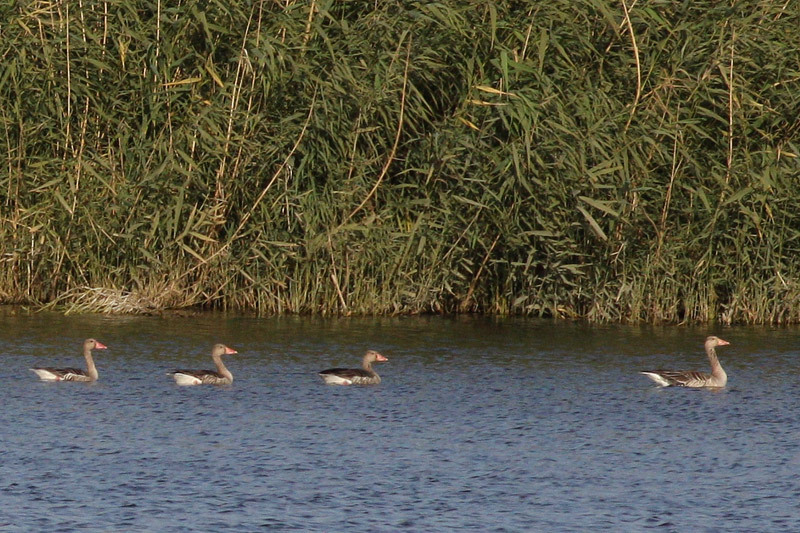 This oasis can be hit and miss for the long drive, but today I wasnt disapointed - especially as the first bird I found was a Goldfinch and a new bird for me, which was chased off by a territorial Water Pipit before I could get my camera on it. 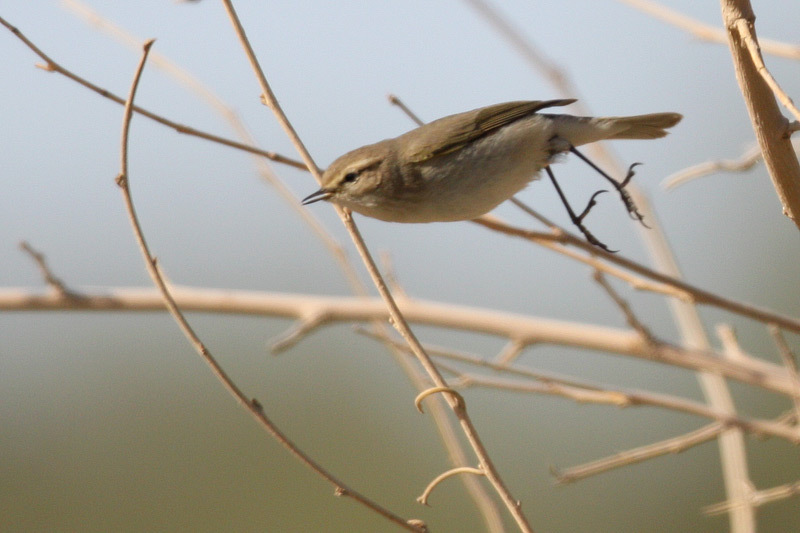 I also found this quite 'cold' coloured Chiffchaff, but photographed against the sun - not sure what sub-specie it may be? 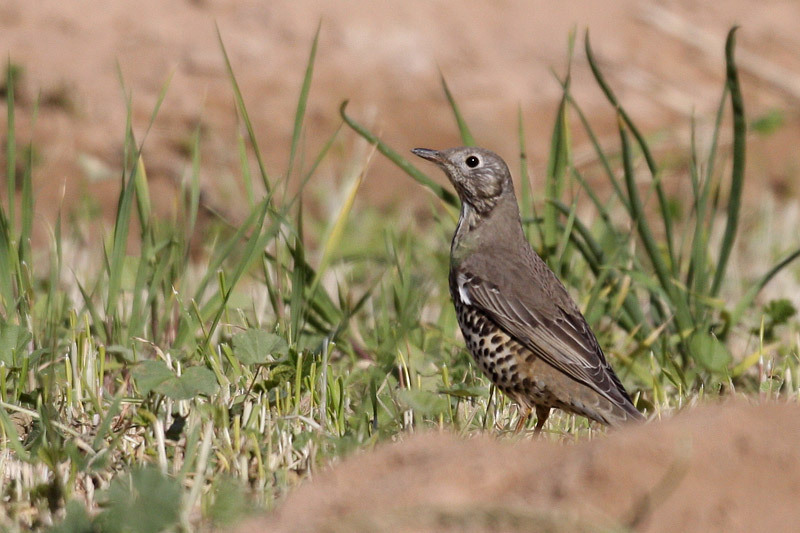 However, I did eventually get onto the Mistle Thrush, although it was very wary of me in the car, but not of the workers in the field. Another Flycatcher had us debating the ID for quite sometime after I had shared the images with fellow birders as it showed features of both Red-breasted Fly and Taiga Flycatcher. 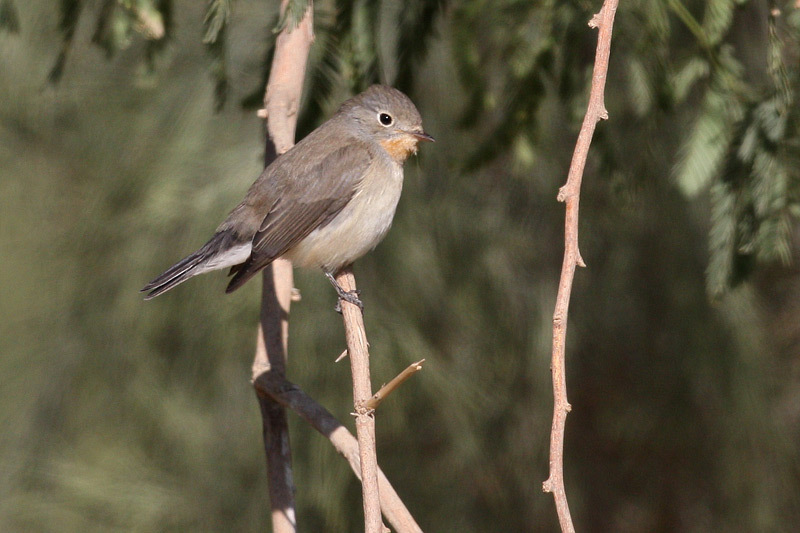 However, after careful scrutiny we had consensus that it was Red-breasted Flycatcher and possibly a 2nd year bird. I reached SAANR in mid-morning and by now the wind had really picked up, so that diminished some of the birding opportunities. Macqueens Bustard has been my bogey bird since arriving in Kuwait and only the week before did I get a distant view of one flying away from me out in the desert. 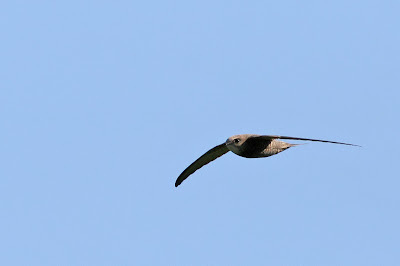 So, what a surprise to find another a week later - but not easy swinging a 600mm in the strong wind with the bird flying at speed against a busy background - AI Server and Auto focus on my 50D was challenged. 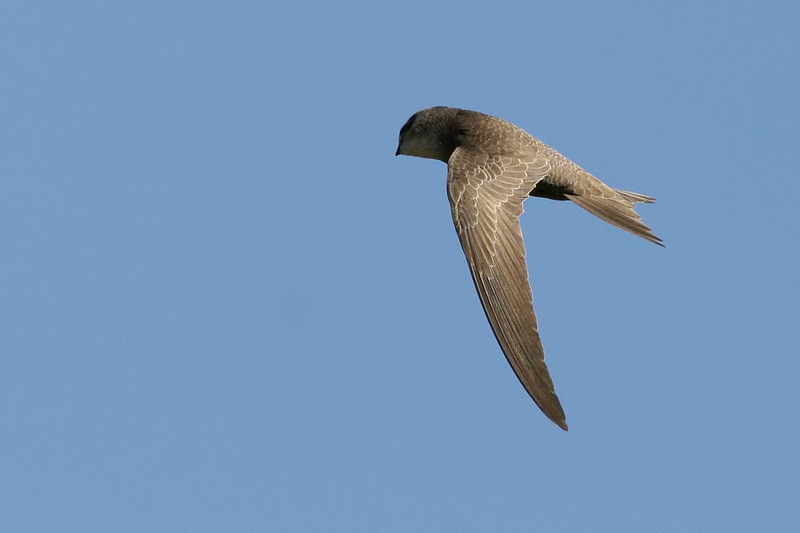 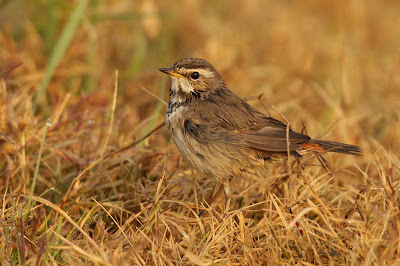 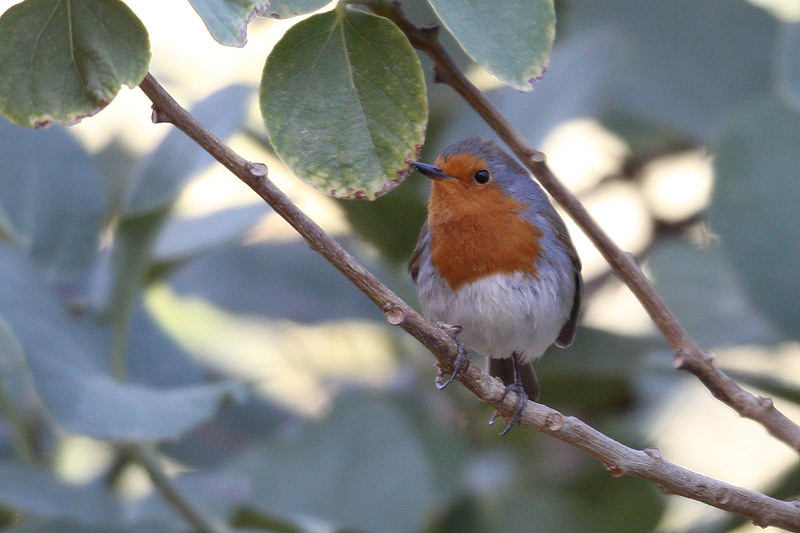 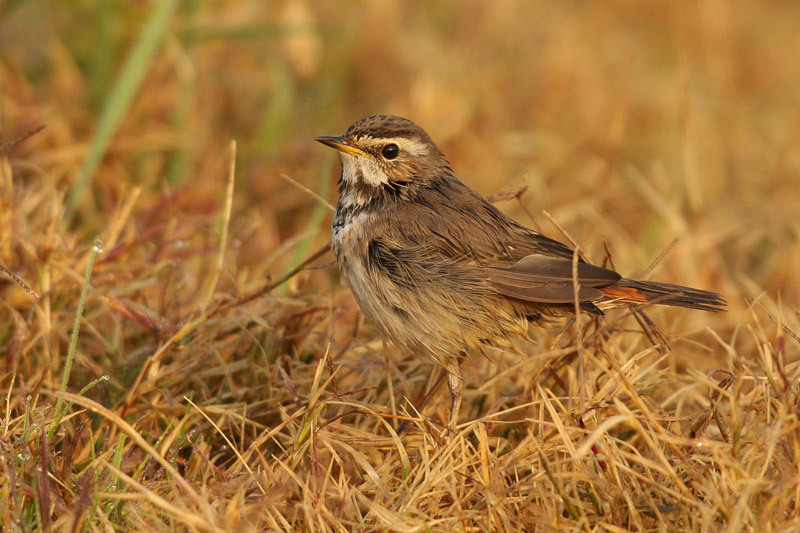 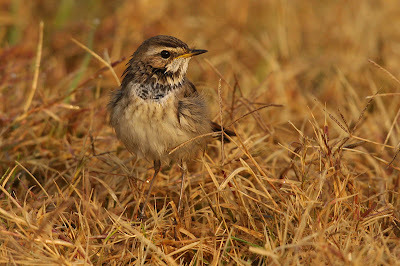 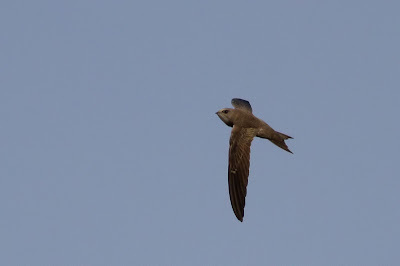 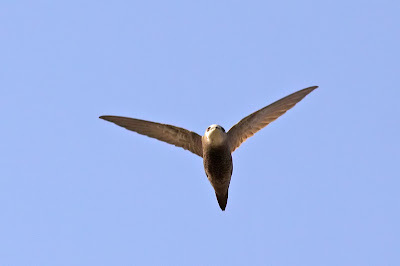 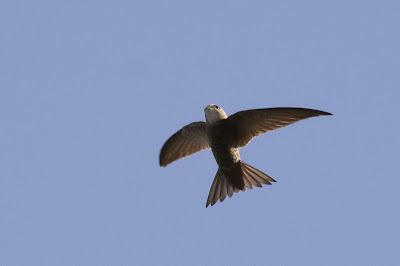 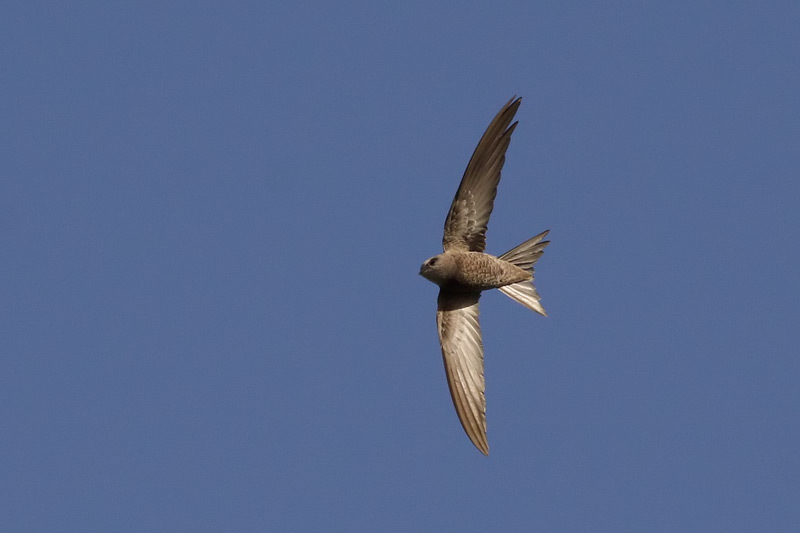 Nevertheless, this is the image I have until I get the opportunity to get a more obliging bird.